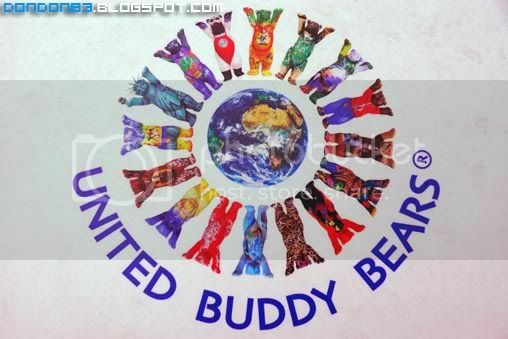 United Buddy Bears. saw this interesting bears in pavillion. 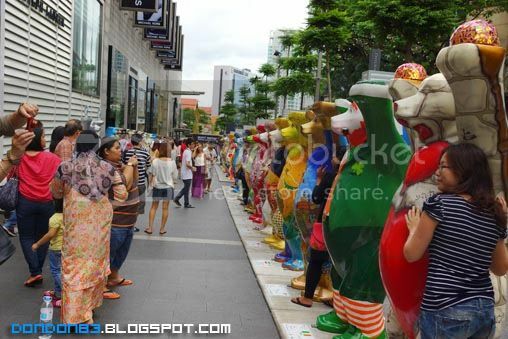 and each bear represent 1 country. 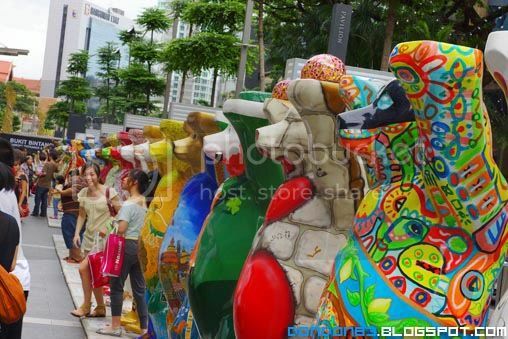 it will be there at pavilion from 8th Dec 2011 to 15 Feb 2012. go there before they gone. just infront of pavillion , they surrounded the fountain. you won't miss it. 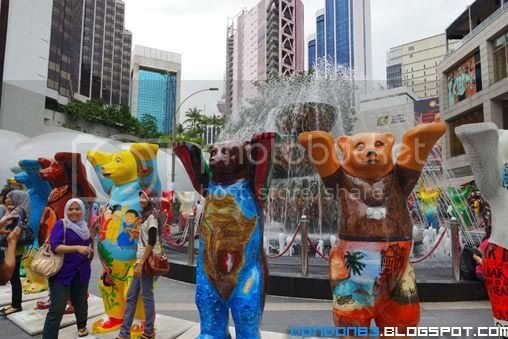 Bears that surrounded the fountain. colorful decoration. 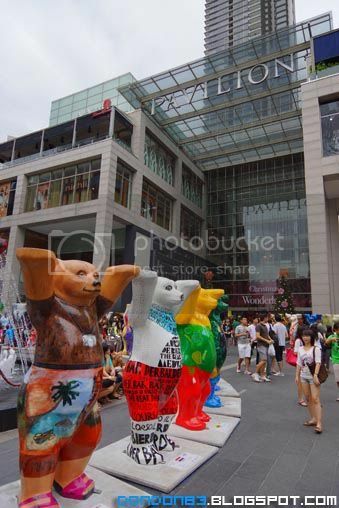 each bear have it's own characteristic. some bear you can just simply guess where it belongs to just by look at it's decoration. 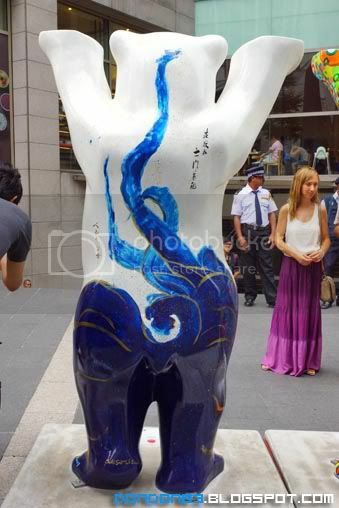 this bear just plain white infront. but behind it is something ..
oh look! 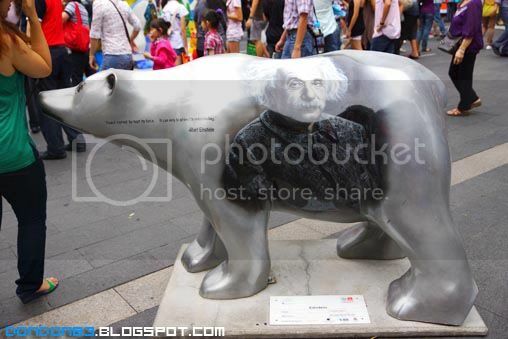 Albert Einstein bear! 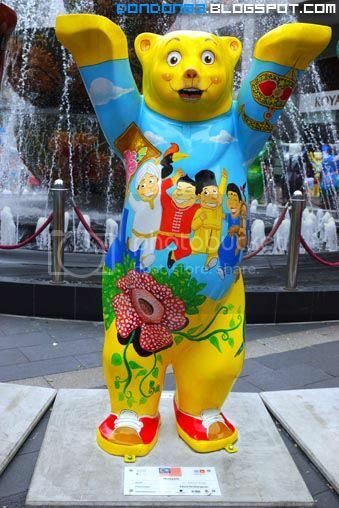 and guess what.. this bear represent Malaysia...so cute.